Does a policy of ‘Dementia Dogs’ unfairly indirectly discriminate against Cats? Under our law, a mental health condition is considered a disability if it has a “long-term” effect on your “normal day-to-day activity”. This is defined under the Equality Act 2010. Your condition is ‘long term’ if it lasts, or is likely to last, 12 months. ‘Normal day-to-day activity’ is defined as something you do regularly in a normal day. For example – using a computer, working set times or interacting with people. There are many different types of mental health condition which can lead to a disability, including dementia. This Act makes it unlawful for service providers to unreasonably discriminate against disabled people. Since the Act was introduced, things have improved for many people with disabilities. Traditionally, services that discriminate unfairly against disabled people face the wrath not only of the law, but of new generations of disabled people prepared, encouraged and empowered to fight for their rights. Living well with dementia is therefore not just a societal aspiration. It is a legal necessity. However, we know that the rights of people with dementia can seem to disappear after the diagnosis. This can happen in small ways. For example people in authority including health and social care professionals may only consult a carer and may make assumptions about what people with dementia want. This occurs when an organisation (for example, the University, or a member of staff at the University) makes a decision, or puts in place a particular policy or practice, which, on the face of it appears to treat everyone equally, but which actually, in practice, leads to people from a protected group being treated less favourably than other people. This is unless the person applying the provision can justify it as a proportionate means of achieving a legitimate aim. On a less serious note, does a policy of ‘Dementia Dogs’ unfairly indirectly discriminate against Cats? Comparing the intelligence of animals of different species is difficult although there are certain tests and problem sets that have proved to be useful. Making the tests equivalent, however, has proved difficult. Dogs are designed to be more efficient runners while cats have better ability at manipulating things with their paws. Thus a test that involved pulling strings or operating levers would tend to favor a cat, while a test involving moving from place to place, where speed is a measure of performance, would favor a dog. Charles Darwin claimed, “Intelligence is based on how efficient a species became at doing the things they need to survive,” and one might argue that by this definition all species that stay healthy, remain numerous and avoid extinction are equally intelligent. In the late 1970’s the psychologist Harry J. Jerison developed an alternative measure that he called the Encephalisation Quotient or EQ. It is a mathematically sophisticated comparison of the actual brain weight of an animal compared to the expected brain mass for that animal’s body size. This compensates for the fact that bigger animals tend to have bigger brains and basically shifts the question to one of whether the animal has a larger or smaller brain size than what we would expect for an animal with its body mass. Based on the encephalisation quotient, the brightest animals on the planet are humans, followed great apes, porpoises, and elephants. The dog is close behind elephants in its EQ. Descending down the list we find cats lower than dogs, followed by horses, sheep, mice, rats and rabbits. However, a real surprise occurs in some recent data provided by Suzanne Shultz and Robin Dunbar at Oxford University. They wondered about whether there had been evolutionary changes in the Encephalisation Index. For example, when we domesticate animals, especially a companion animal like a dog, we are placing new demands upon it. Some of these demands are social in nature, such as understanding human communication gestures and words. Dogs are subjected to more of this pressure than are cats. Thus it might be expected that dogs would show a greater rise in their EQ than cats. This was indeed verified by the Oxford researchers using 511 different samples ranging from extinct species only available as fossils, up through current living examples. Thus it appears that based on their EQ dogs are becoming progressively more intelligent over time while cats have remained at much the same level of mental ability that they had when we first domesticated them. This means that not only are dogs smarter than cats, but the gap between the species is increasing over time. Dementia Dog, one of the five innovative solutions developed through the Living Well with Dementia Design Challenge, is a service providing assistance dogs to people with dementia, helping them lead more fulfilled, independent and stress-free lives. A sense of routine can often break down for people with dementia. Dogs can be trained to live to a consistent routine. Ultimately, each dog will be trained with the person with dementia and their carer so all three can operate as a team. In certain cases, functional effects dementia causes can be diverse: forgetting to eat, drink or sleep can increase disorientation, medication can be forgotten and confusion can heighten anxiety about the outside world, increasing isolation. This is a factor to consider for caregivers too. The dogs are taught to support existing patterns of waking, sleeping and eating for people with dementia. Through responding to sound alerts they can also help with regular hydration, medication and toilet use. The social and emotional benefits are potentially huge. Just by being able to get out more independently, in certain cases, the person with dementia can widen his or her circle of support. If the policy of ‘Dementia Dogs’ does unfairly discriminate against ‘Dementia Cats’ on the grounds of equality, it can be argued that this is legally justified on the grounds of cats having a lower emotional intelligence than dogs. This would need to be supported by suitable corroborative evidence, such as survey results. 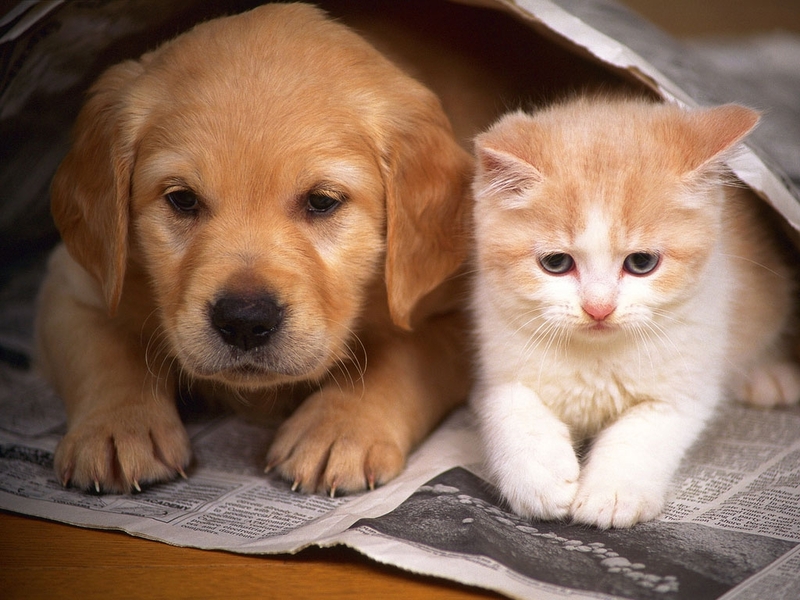 Of cats and dogs aren’t humans, so the Equality Act (2010) doesn’t apply to them. So I do apologise for wasting your time – but the first bit of this blogpost was important, I humbly submit. Good fun but on a more serious note. Assistance dogs have been used increasingly for people with impaired sight, hearing, movement and both dogs and cats can be helpful for those with depressive illness and loneliness. Some landlords have unclear rules about this, prosecuting already vulnerable people for breaking tenancy rules even when a GP’ letter is provided. It might be a good idea if providers of assistance animals, patients, medics and landlords including local authority housing departments git together to thrash this out. Perhaps re homing centres could be involved re inspecting homes and humans for suitability too as is companionship is all that’s needed, a neutered, vaccinated animal is provided only if the home is suitable and the human capable of good care. Good fun but in a more serious note. The use of dogs as assistance for people with impaired vision or hearing etc is well known. Small dogs and cats can also be helpful companions to depressed people and those who are very lonely. Whilst animals are useful they too must only be placed with people who can also care for them. In between all this , money for training etc aside, are landlords both private and public who are confused about pet policies. No dogs allowed, even with a doctor’s letter of support. Legal battles over leases. These conflicts involve people already vulnerable. It might be a good idea if those who supply such animals got together with landlords, patients and medics to hash out a sensible policy for all. So that people are spared harassment and landlords can properly support tenants and leaseholders.